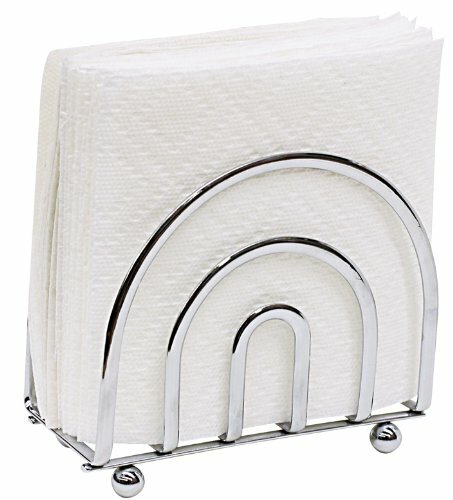 Satin nickel vertical napkin holder is perfect for storing tissues and napkins. It consists of a durable sleek red finish, works well with indoor and outdoor gatherings. Napkin holder provides decorative storage space for napkins.